As Dunkin’ Donuts tests a Next Generation store concept and innovations in coffee products, franchisees must decide how they will make the leap into the next generation themselves. Moving forward in a competitive landscape can be both exciting and challenging. With 70 years of history behind the brand, Dunkin’ Donuts has evolved and diversified to remain relevant in modern times. 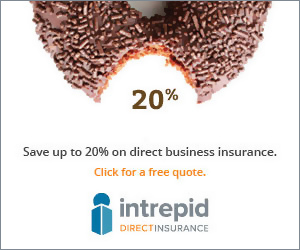 Franchisees must do the same. Whether you’re preparing to test a Next-Gen store, undergo a remodel or hand off your stores to the next generation in your family, Dunkin’ owners are tasked with navigating an ever-changing business landscape. 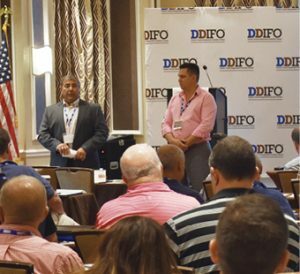 The recent DDIFO National Conference, held at Harrah’s Casino in New Orleans, addressed some of those issues and more during two days of talks and panel discussions. 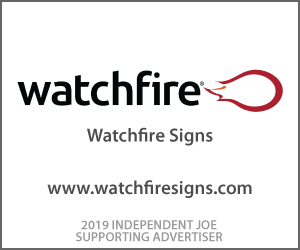 Notable speakers and special guests included Phantom Gourmet Founder and CEO Dave Andelman, analyst with Piper Jaffray, Nicole Miller Regan, Vice President of First Manhattan Co. Michael Kelter, DDIFO restaurant analyst John Gordon and former CEO of CKE Restaurants Andrew Puzder. With a theme of helping business owners and franchisees be as successful as possible in 2018 and beyond, these speakers addressed everything from current trends and regulations in the restaurant environment to encroachment and other legal issues. Puzder, the conference’s closing keynote speaker, served as the personal attorney for Carl’s Jr. Founder Carl N. Karcher and eventually became president and CEO of the company. He was nominated by then President-elect Trump to be the United States Secretary of Labor, and his latest book The Capitalist Comeback explains how and why capitalism is working under Pres. Trump and what the left is doing to stop it. “If you own a business, you need to speak up,” Puzder told a room full of franchisees from around the country. It was a sentiment that other speakers, like Andelman, echoed throughout the conference. Andelman founded and served as president of the Restaurant and Business Alliance, a Massachusetts-based trade association providing members a “seat at the table” in government and media, and has been the face of Phantom Gourmet on WSBK and WBZ TV in Boston since 1993. Andelman and several other speakers also addressed the effects of raising the minimum wage to $15 and extending paid leave and sick time. “Labor is going to cost me $20 an hour,” he said. “How am I going to run my business? You need to begin strategizing in that way.” He added that dining rooms will get smaller, prices will rise and restaurants and diners will open less hours or even be forced to close with another minimum wage hike. Business owners are welcoming some good news with the Trump Administration’s moves to reduce federal regulations, along with Andelman’s prediction that the Supreme Court will rule against public sector unions in the Janus v. American Federation of State, County and Municipal Employees (AFSCME) case. Customer needs and wants are driving the Next-Gen store concepts. 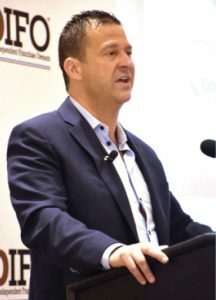 John Motta, owner of 29 Dunkin’ Donuts shops in New Hampshire and Virginia and the recently appointed Coalition of Franchisee Associations chair, was joined by Greg Sagris, another NH franchisee for an open discussion of the nuts and bolts around remodeling into and building new Next-Gen stores. Known only by the name Dunkin’, Next-Gen stores are designed for quick delivery and convenience. Their design features an open layout and several ways for guests to order. The concept – complete with special drive-thru lanes for items ordered through the mobile app – is designed to forge a stronger bond between the brand and its guests. The digital screen at the drive-thru, which is still optional for franchisees, indicates when orders are ready. Customers can also enter the store and order at the counter, which features a glass display next to the cashier and an eight-tap cold beverage system of traditional coffee, iced teas and nitrogen-infused cold brew coffee. Motta has one Next-Gen store open and another under construction. Sagris volunteered to test two of his New Hampshire locations up for remodel and said his low-volume location in Bradford averages an 11 percent increase most weeks and as high as 30 percent other weeks. The owners do caution that switching to a Next-Gen store can be expensive in terms of equipment, technology and millwork, not to mention disruptive to high-volume locations. “This is still a test phase. I’m confident that we’re going to get the pricing to a better level,” Motta said. Dunkin’ Brands is working with franchisees to help stagger remodels and provide some financial assistance, but both Motta and Sagris say there are still a lot of kinks to work out. The Next-Gen concept was a topic of discussion in the panel titled, “A 3-Dimensional Look at Dunkin’.” Kelter, whose company is one of the largest investors in DNKN stock, was joined by Miller Regan from Piper Jaffrey and Gordon. “Next-Gen is a natural progression of something you need to do for modern expression of the brand. Even if the economics are close to break even, it’s still the right thing to do,” said Kelter, who cited a notable McDonald’s quote about the “halo effect” of launching a new concept doesn’t set in until 40 percent of a remodel is complete, so shop owners will need to be patient. Regan, who has an obvious passion for brands and their consumers, advised franchisees to align with each other and give feedback to corporate so that a middle ground can be found when it comes to implementing such bold ideas. She also sees great promise in the tap system and nitro brew, especially among millennials. His ideas for expanding the number of employees available to businesses include raising salaries, training and increasing the number of legal immigrants. With a shortage of labor and rising minimum wage on their minds, today’s franchisees must also contend with consumer expectations, in-store technology and the rise of the breakfast sector. As Andelman made clear, Dunkin’ owners need to take care of themselves, their employees and their customers. 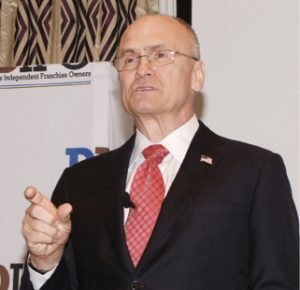 Puzder leaned heavily on the theme of the American Dream and quoted Carl Karcher as saying, “The American Dream is alive and well in this nation of ours.” Today, Puzder believes the American Dream is under threat. “It’s still alive,” he said, “but how well is it?” He urged business owners to take advantage of the opportunities that President Trump is presenting right now and fight labor unions and $15 minimum wage in order to help secure that dream for the future.